Two years ago, we looked at some constructions made from playing cards that are slotted and slid together. Here is a new one, by Zach Abel. Thirty cards are required, and each is slotted as in the template below. 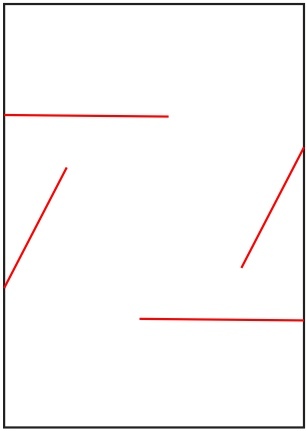 To build your own, simply copy this pattern onto thirty cards, cut on the red lines, and assemble as in the image. Note that Zach’s version above has some cards facing in and some facing out, however, the template must always face the same way. So if you want some cards to face differently, turn them over before coping the template on them. 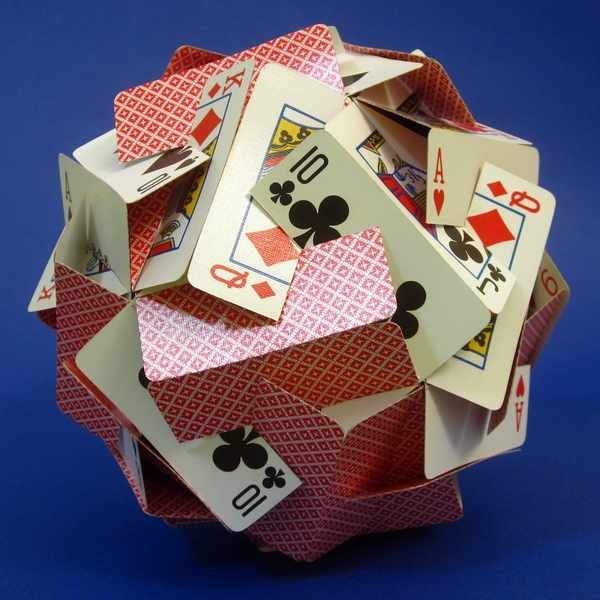 Notice how sets of five cards meet at their short edges form six different prism-like “equators.” The construction approximates the uniform compound of six pentagonal prisms, but with rectangular sides instead of squares. This article first appeared on Make: Online, December 26, 2011.